Upper-Section Cementing with Stage Collar | www.vertechs.com | Vertechs Oil & Gas Technology Co.
Onshore vertical well of 4,727m TD with cement interval (900-4486m) at Sichuan Shale Gas. 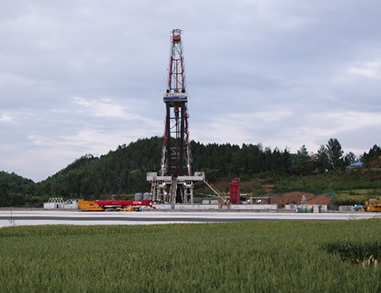 In order to protect the main gas reservoir between 4500m and 4700m from the contamination of the cement slurry and meet the needs of the later multi-stage fracking, the casing tally with stage cementing collar & external casing packer is adopted for the production casing cementing. Cement the upper section above the stage collar and leave lower section open hole. Multi-FIT Cement System with elastoplastic additive for flexibility and fiber additive for gas migration prevention and losses added to cement. Weighted oil-removal spacer was utilized ahead of cement and 4m3 (25bbls) over-flush of spacer was utilized behind cement and ahead of displacement. Cement basket was placed below the stage cementer to minimize cement contamination to uncemented section. Cementing job was successfully accomplished with no losses during operation and plug bumped as desired. 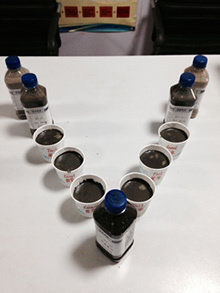 This cementing application is the first ever successful case on southwest China unconventional gas wells.